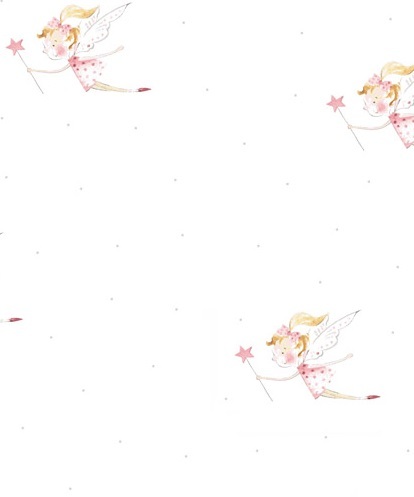 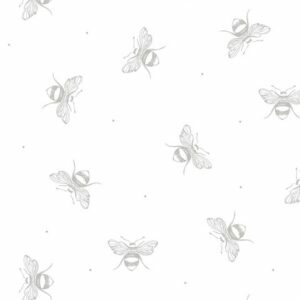 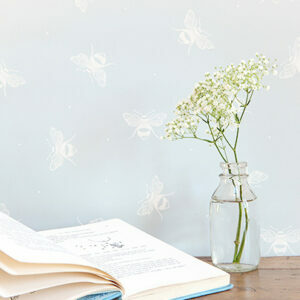 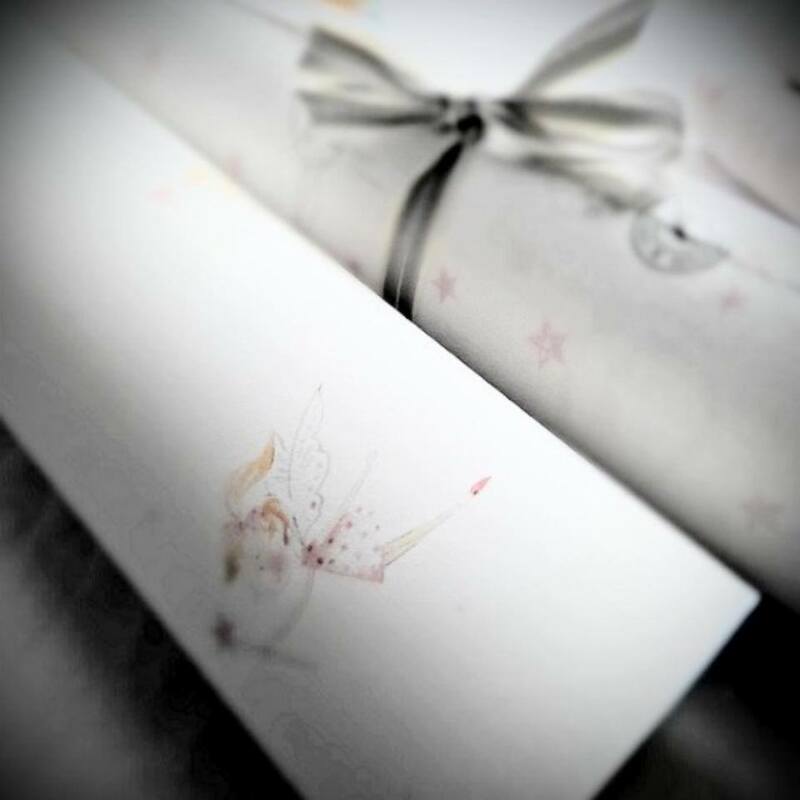 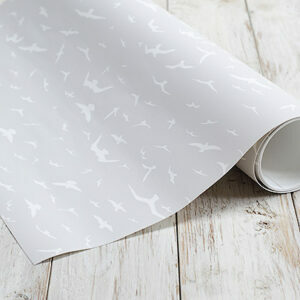 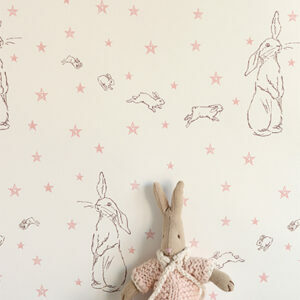 Stunning “My Little Fairy” Wallpaper, hand painted original design by Kimberley, based on her little daughter Millie. 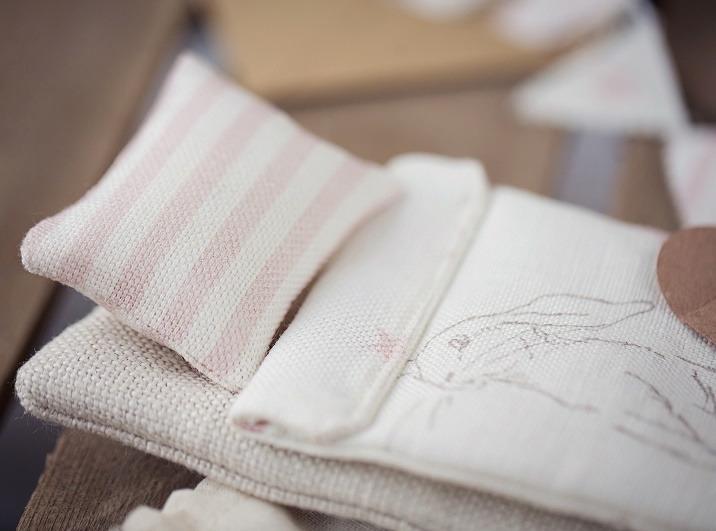 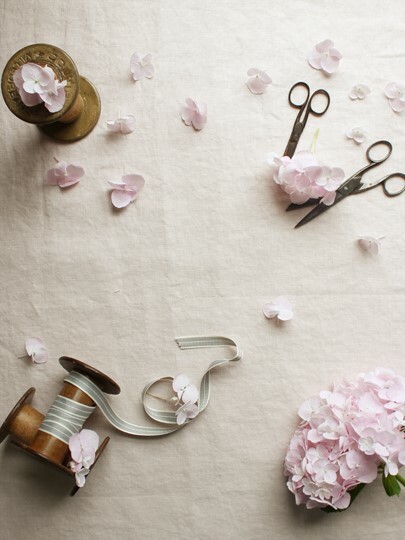 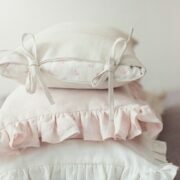 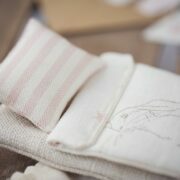 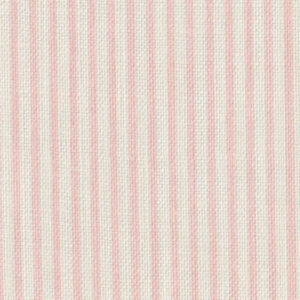 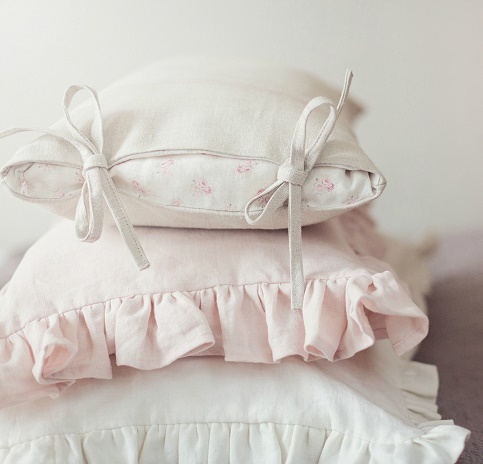 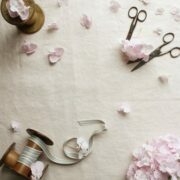 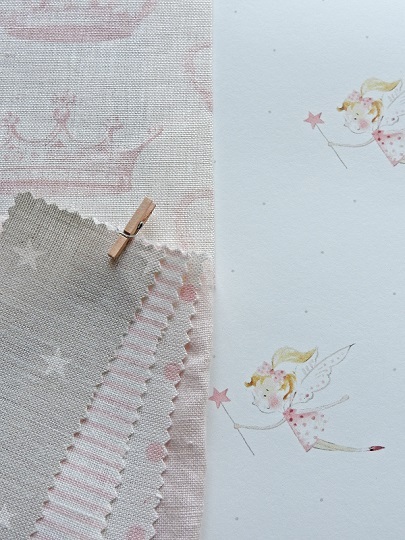 Gorgeous in a little girl’s nursery with white linens and curtains in either our Perfect Plain Floppy Pink Linen, Evie Stripe Pink Icing, Powder Pink Skinny Pinstripe, Pale Pink Icing Stars large or small on white linen union or Blush Dots on Ivory. 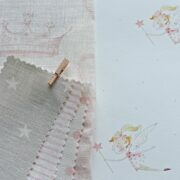 Also see first image below: this shows My Little Fairy with All Stars Small Gustavian Grey Background, Vintage Spot Bespoke in Powder Pink on Ivory and Pink Icing Small Crowns. 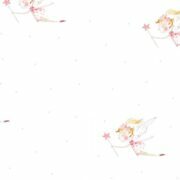 Printed to order, please allow 14-21 working days. 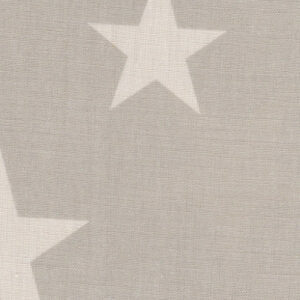 Printed in England.